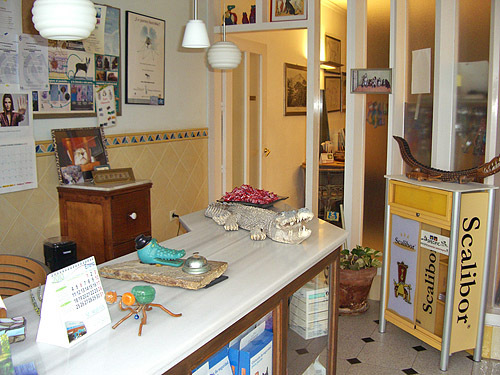 You will find here friendly service, sound advice, useful recommendations and of course everything you need for the care, health and weelbeing of your animal. A bright comfortably furnished little room with view to the sea and some plants so you and your pet can feel at home - even away from home. Nevertheless do make an appointment as not to spend a long time waiting. 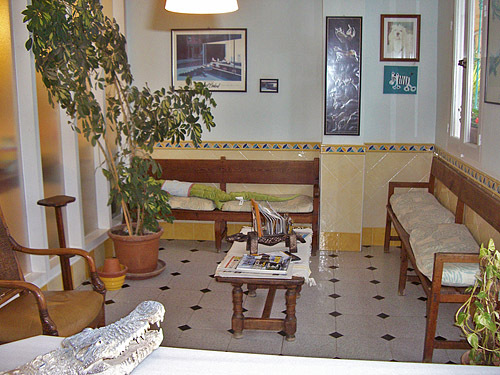 We have created a spacious and friendly looking treatment area so your animal not feel "imprisioned" or get frightened. The front part is dedicated to general examinations, blood tests, to administer drips or bandages etc. 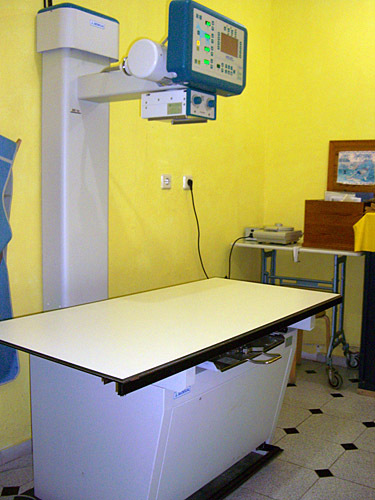 whereas the back part contains the more technical equipment such as microscopes (i.e. 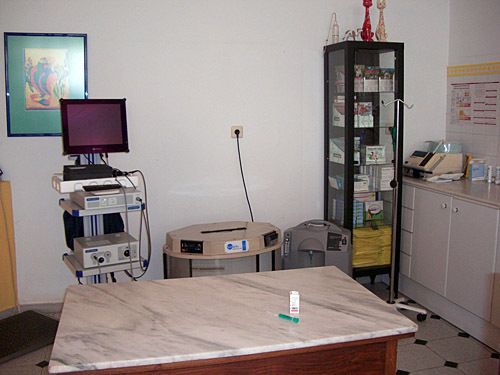 for eye examinations), endoscopic device (i.e. for nose, ears, throat, etc. 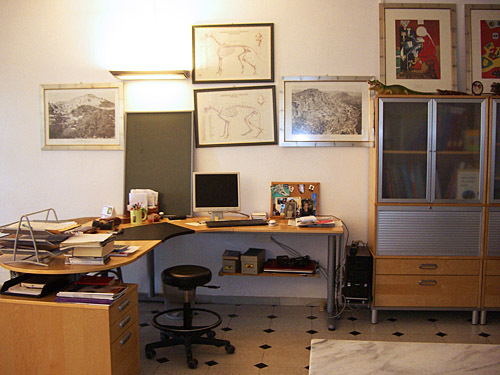 ), the ultrasonic apparatus, etc. 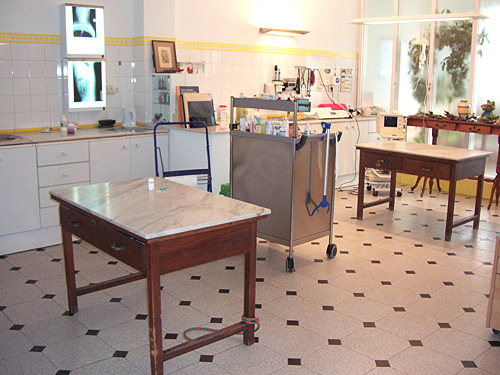 All of these are mobile and can be moved into the operation theatre if need be. 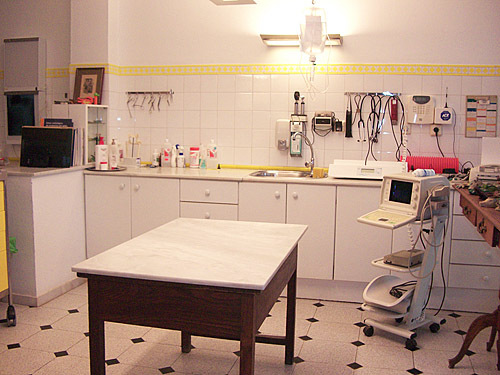 Naturally we have at our disposal oxygen masks and even a specially designed "oxygene cage"
in case of an emergency, in which the animal can receive additional oxygen and warmth. 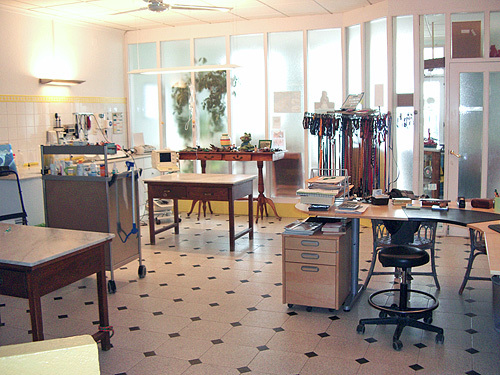 Before and/or after treatment here is time to sit down at the Vet's desk and ask her for explanations; what's the problem ... how did it come about ... how can it be cured ... and what are those machines over there for ??? 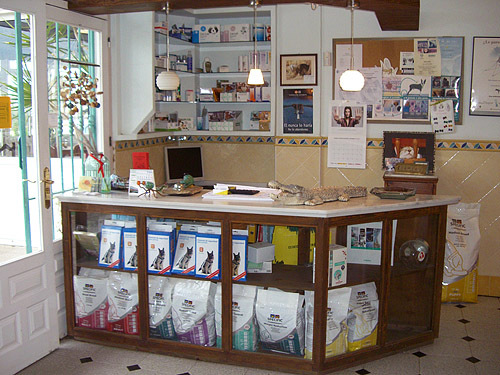 We will always find the time to answer your questions - we are worried about your pet as you are - and we will do our utmost to find a solution. 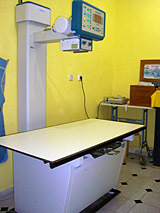 Our x-ray-apparatus is of highest standard, produces excellent images and avoids unnecessary contamination. 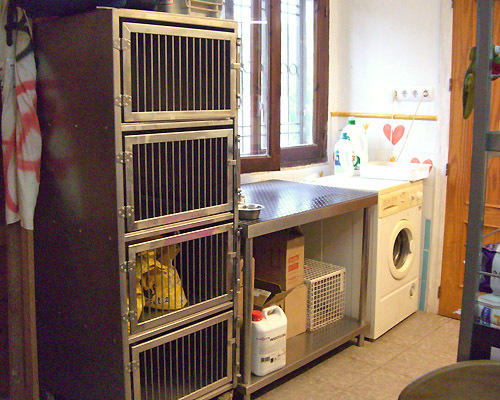 Furnished mostly with stainless steel equipment it offers a maximum of disinfection and hygiene to ensure the safety of your animal and minimise the risks of surgery. The anaesthetic apparatus is state-of-the-art, is 100% sterile as goes without saying, as is everything used in the course of an operation. 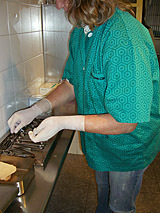 Little patients in need of special attention will receive professional care in the "ICU"-section of the surgery. 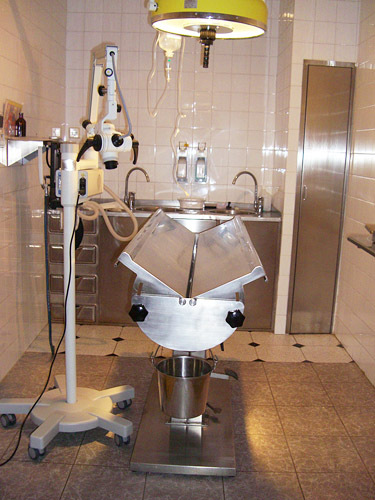 Hygienic stainless steel cages will be their temporary home after accidents, being poisoned, blood transfusions or for post-operative treatment. Needless to say we try to return them to their proper homes as soon as possible as in a familiar surrounding the recovery is a lot quicker, espacially in cats.